Preliminary photos available here. Additional high-resolution photos available shortly, on request. RICHMOND, VA — Today, dozens of Virginia activists, legislators, and community leaders rallied in support of a “Green New Deal” for Virginia. Building off of new momentum on Capitol Hill for action from Congress and from the states, Virginia activists discussed their own version of the “Green New Deal” in the Commonwealth, in the form of a House Resolution that was recently introduced in the Virginia General Assembly. Momentum for a “Green New Deal” at the national level has reached a fever pitch, with overwhelming bipartisan support for the idea across the country. Delegate Sam Rasoul (D-11) recently introduced a resolution for a “Green New Deal Virginia,” which promotes a “just transition” to a 100% clean energy economy with large-scale investments in efficiency and jobs. Never before has such a sweeping vision been put forward to address climate, energy, and equity in the Virginia legislature. 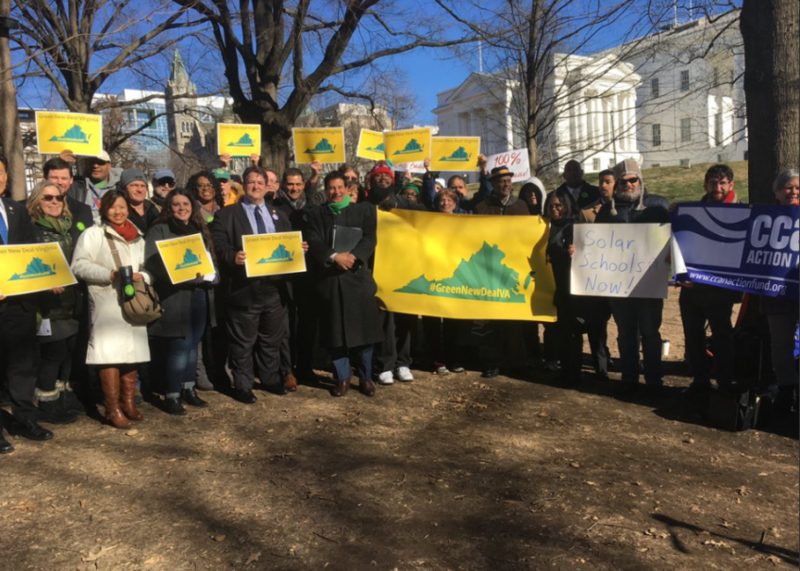 The “Green New Deal Virginia” coalition, spearheaded by Delegates Sam Rasoul and Elizabeth Guzman with several advocacy organizations, aims to put Virginia on a just transition to 100% clean energy. 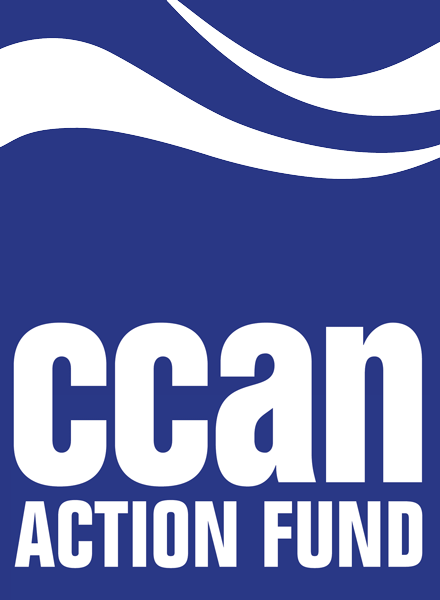 The members of the coalition include the Sunrise Movement, NAACP Virginia State Conference, Sierra Club Virginia Chapter, Virginia Organizing Project, Chesapeake Climate Action Network, and a host of additional intersectional organizations.